Following the annexation of the Crimea the Russian Federation illegally controls two-thirds of the Ukrainian shelf of the Black and Azov Seas, the State Service of Geology and Mineral Resources of Ukraine informed. 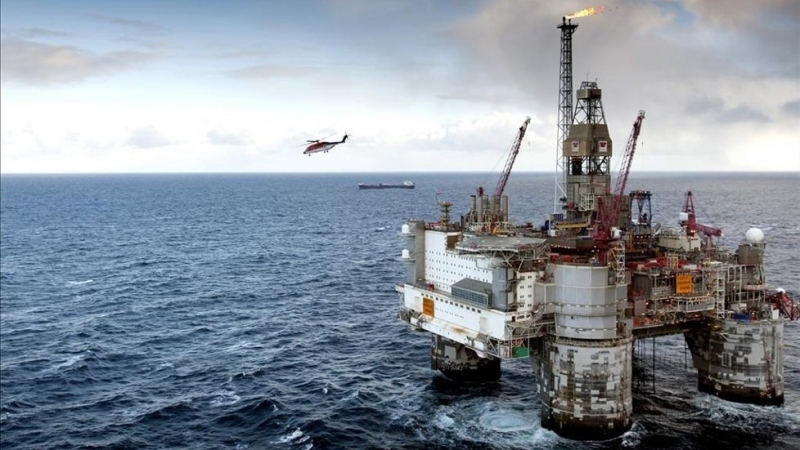 Gas reserves in the areas of the Black Sea shelf under control of Ukraine make up about 37 billion cubic meters, and about 10 billion cubic meters on the shelf of the Azov Sea. “Approved gas reserves on the sections of the Black Sea shelf, which remained under Ukraine's control, make up about 37 billion cubic meters. The estimated resource base of hydrocarbons on the Ukrainian continental shelf of the Black Sea comprises more than 300 billion cubic meters of gas and almost 200 million tons of oil. Also reserves on the shelf of the Azov Sea contain about 10 billion cubic meters of gas," the message says. The territory of the Ukrainian shelf, where currently a research is being conducted, has decreased three-fold (from 130 to almost 40 thousand square kilometers). According to the Acting Chairman of the State Geosciences Oleg Kirilyuk, to date, 147 special permits for the use of subsoil in the temporarily occupied territory of the Autonomous Republic of Crimea and the shelf of the Black and Azov Seas, remain valid. QHA reported that in Russia a law came into force cancelling Ukrainian licenses for the use of subsoil in the annexed Crimea and introducing a new procedure for registration. According to the new rules, the right to exploit subsoil plots located in the Black and Azov Seas will be provided by the decision of the Russian government after the auction.The document says that licenses for the use of deposits of the Black and Azov Seas, issued by state and other official bodies of Ukraine prior to the occupation of the peninsula, will be considered invalid. What blow did annexation of Crimea cause to Ukrainian economy?